Nicalis has two games planned for Spring 2017 for the Nintendo Switch, The Binding of Issac: Rebirth and this F-Zero/Wipeout inspired game, Redout. Since this is Nicalis we're talking about, perhaps we can realistically expect these games in 2020. Just kidding! In all seriousness, between this game and the new FAST Racing from Shin'en, we're looking at a nice resurgence of this type of futuristic racer on the Switch! 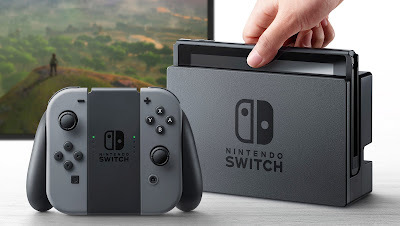 If you're like me (and as always, God help you if you are), then you might feel a bit disappointed at best and laughing with mild insanity at worst regarding Nintendo's big Switch reveal last night. While the games shown weren't horrible by any stretch of the imagination, many in fact looking awesome, the majority of them won't be at launch. With regards to the Switch's price point, the lack of many interesting launch titles, and an assortment of other concerns, the similarities to how Nintendo botched the Wii U are quite concerning, showing once again a company that really has no grip on reality. Starting off, we begin with the number that immediately turned off many a gamer from the Switch: $300 USD. Just like the Wii U, not only is the price more than what people were expecting and desiring, but the cost of the console is up due to a controller that no one asked for. With the Wii U, it was the GamePad, with the Switch, it is the need to implement so-called "HD rumble" to jack up the console's price. Yes, you essentially get two controllers with the Joycon that comes with the Switch, but if you want any more, you're unlikely to just go to a store and make an impulse buy when an extra Joycon controller is seventy bucks. Now, let's talk launch lineup. It's abysmal. One of the worst in launch history for both Nintendo and just consoles in general. When the main game being talked about is also available on Wii U and on the same day, it's really challenging to make people think, "Oh, yeah. Sure. I'll pay an extra $300+ just for the pleasure of playing a hardly-improved port." What makes Nintendo think that this lineup for launch is good for the asking price? Hubris? Stupidity? A mixture of both? Then, you have the total lack of commitment from third party developers. I don't think old ports of FIFA and Skyrim, and these aren't even going to be at launch, are going to get any gamer excited or wanting to drop $300 for the system. Even the majority of upcoming Japanese support near launch is of old ports of games that have already seen success on other platforms. A huge question to consider that also could have been asked with the Wii U is... "What in the world has Nintendo been doing for all of this time?" To be fair, Nintendo could have been like Sony with the PlayStation Vita, saw the Wii U was a bomb, and just dropped all support within the first two years. Instead, Nintendo gave its fans and owners of its Wii U some of the best games of the generation instead of dropping it like a rock. However, Nintendo stopped supporting the Wii near the end of its life, thus resulting in the system flat-lining instead of continuing to prosper. (Sort of where all the "Wii was a fad" nonsense comes from.) I remember thinking along many other gamers that Nintendo surely did this to have lots of games ready for the successor, the Wii U. As history shows, however, this couldn't have been further from the truth. And now here we are with the Switch, and history has once again repeated itself. We thought, "Nintendo wouldn't just slow down support for the Wii U if they didn't have lots of games and projects for the Switch coming, right? ....Right? ....RIGHT?!" Well, wrong. 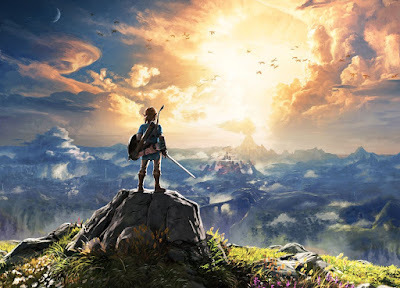 Once again a Nintendo console gets fully revealed with an anemic amount of games ready for launch and a paltry amount of games from third parties coming. Not even indies have much to show, which says that Nintendo's secrecy and need to only give dev kits to bigger developers to prevent leaks have been another mistake. That's really the mantra of Nintendo nowadays: Mistake after mistake, all adding up to be incredibly self-defeating. It boggles the mind how Nintendo consistently shoots itself in the foot over and over again and puts itself in such a poor predicament time and time again. We've seen this with the Wii U, we've seen this with the 3DS (which due to a quick price cut stopped the bleeding, thankfully), and now we see it with the Switch. It's immensely disappointing that Nintendo keeps crapping the bed over and over again, showing that regardless of the man in charge, Nintendo really has no idea what it's doing anymore. This is most likely the final new trailer SuperPhillip Central will be showing tonight. Perhaps more will come out of the following two days of Switch-related events. Regardless, we end the night on a big, greatly anticipated game launching with the Nintendo Switch on March 3rd. 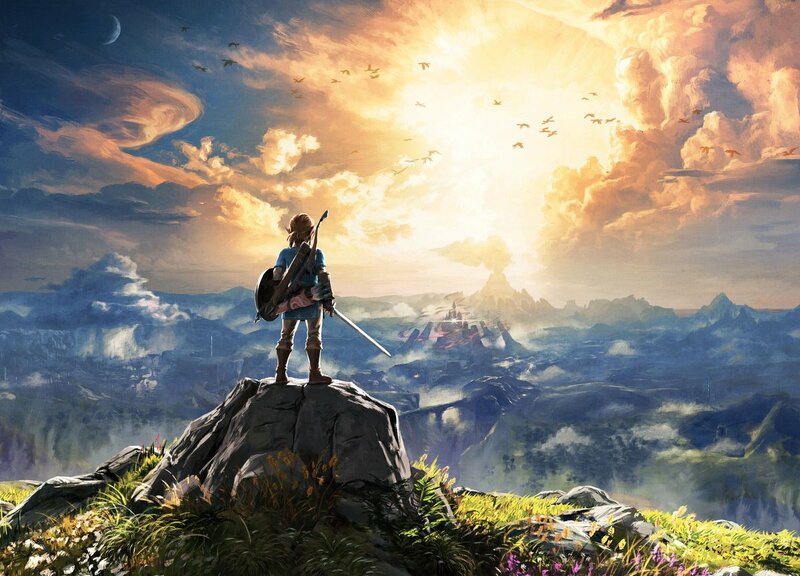 It's The Legend of Zelda: Breath of the Wild, and it looks and sounds sensational. Take a look at all of the visual and audio candy in this lengthy trailer. It's pretty interesting how a leak from 4chan got more game announcements and details correct than the actual reporters from Twitter! Oh, well. Can't win 'em all! One game that was on the leak list that I'm excited about is Super Bomberman R, not just because of how cute and fun it looks, but also because it's the return of Bomberman to a home console! It's classic Bomberman gameplay with a modern touch. Quite nice! SuperPhillip Central's game of the Nintendo Switch presentation, Super Mario Odyssey sees Mario on a globe-trotting adventure more akin to his Super Mario 64 and Super Mario Sunshine escapades rather than his more recent games, as Odyssey has open sandbox worlds to explore. The game looks absolutely incredible. The only downside? We'll have to wait until the holiday season to own it! The sequel to a game that was positively fresh, Splatoon 2 brings the return of the fun and frantic multiplayer paint bouts, but this time to Nintendo Switch. This planned Summer 2017 title features new maneuvers, weapons, maps, and more. The more is presumed, as we didn't see too terribly much from this reveal trailer for the game. A lot of interesting games will be coming to Nintendo Switch, though sadly, most are a little ways off. Regardless, take a look at Monolith Soft's latest, Xenoblade Chronicles 2, a sensational-looking RPG that shows off the developer's ability to craft worthwhile and interesting worlds. It's always nice to see a new Nintendo franchise take center stage, and that's exactly what the new game ARMS did. Using the Joycons' various motion control capabilities, players punch and block their way through twists of the wrist and fist to take out opponents in 1-on-1 pugilistic showdowns. The style of ARMS is quite delightful, wouldn't you say? Shown in the Nintendo Switch presentation from this evening, Mario Kart 8's Switch version showed a revamped battle mode. Now, after the presentation, Nintendo has a trailer to go along with footage. Mario Kart 8 Deluxe will feature all of the content from the original Wii U release, new characters, and the aforementioned updated battle mode. Though surprisingly, Deluxe won't be at the Switch's launch which begs the question: What else is coming at the launch except those two confirmed games, Zelda and 1-2 Switch?! Watch the Nintendo Switch Presentation Stream Right Here at SuperPhillip Central! Though available to stream at a myriad of other destinations, if you so like, SuperPhillip Central has the stream of the upcoming Nintendo Switch live presentation occurring in Japan in about eight hours as of this initial posting. Stay tuned for an abundance of trailers from the event posted right here on SuperPhillip Central! Let's hope for a fun and well-received showing! One of SuperPhillip Central's favorite Wii U games returns, but this time to PlayStation 4, Xbox One, Nintendo Switch, and PC! LEGO City Undercover features an open city dense with things to do and secrets to find, a humorous story filled with references and funny characters, and accessible gameplay for all. If you're like me, then you probably can't wait to either have an excuse to play through this great game again or for the first time when it launches this spring! A good title screen puts the player in the mood to enjoy the game. It's memorable, it's iconic, and just looking at it even without the actual game name on it can remind of you that game. With SuperPhillip Central's relatively new series on the best title screens in gaming, these titles bring out great memories of even greater games. To check out the first entries in this series, look no further than this link. After checking out SPC's picks, which title screens from gaming's past and present do you consider the best and most memorable? We begin our journey through great title screens with one from Mass Effect 3 that really sets the stage for the game. While the ending might have had much ire from fans, the title screen of the game is one that is hard to dislike. With pieces of debris and countless asteroids falling to the planet's surface, this Mass Effect 3 title screen is so easy to get lost in, gazing at each falling piece of debris as it smashes into the planet's surface. Xenoblade Chronicles X's title screen shares a common theme with Mass Effect 3's in that it's quite easy to get lost in. The world of the game is full of behemoth beasts both docile and threatening, and this title screen shows multiple flying beasts as our cast of heroes stands tall on a mountaintop gazing over them. The giant, hulking Skell standing next to them impresses as well, and the idea that players will be able to eventually hop inside one to take on these imposing beasts makes for one engaging title screen. Unlike Mass Effect 3 and Xenoblade Chronicles X's title screens, what Kingdom Hearts offers is a more relaxing and subdued title screen. Beautifully done artwork of series protagonist Sora rests on the right side of the screen as the logo takes up the majority of the screen's real estate. All of it is cast against a gentle white background, but the piece de resistance that blends it all together so splendidly is Yoko Shimomura's Dearly Beloved theme that plays over it. Soothing and pleasant to the eyes, this is the Kingdom Hearts title screen. Going from subdued to more energetic, New Super Mario Bros. Wii's title screen shows off our heroes of the game, Mario, Luigi, Yellow Toad, and Blue Toad sauntering through a idyllic landscape full of small mountains and gigantic polka-dotted hills. This is all the while this peppy and upbeat tune plays. The title screen shows the first taste of the New Super Mario Bros. series on a console as well as the main draw to the game other than the terrific level design, the crazy, zany, and ultimately fun local multiplayer for up to four friends to enjoy. This title screen begins with Sonic falling downward with Dr. Robotnik's Death Egg smashing into a mountain in the background. As Sonic's feet meet the ground, planting firmly next to Knuckles' location, the Sonic & Knuckles logo pops up from the bottom of the screen. Now, both a 3D-looking model of Sonic as well as Knuckles perform their own modest idle animations as players choose between taking on the game as either the Blue Blur or the echidna that unlike Sonic, doesn't chuckle. It's an energetic and for its time, impressive title screen that really hits home that Sega Genesis owners were in for one exciting platforming adventure. Streets of Rage's classic title screen brings players with a nighttime view of a '90s era city, full of criminals and thugs to beat down and brawl. The three protagonists, Axel, Blaze, and Adam, all ex-cops, position themselves on the title screen, taking up top billing as the Streets of Rage logo manifests on the screen as well. 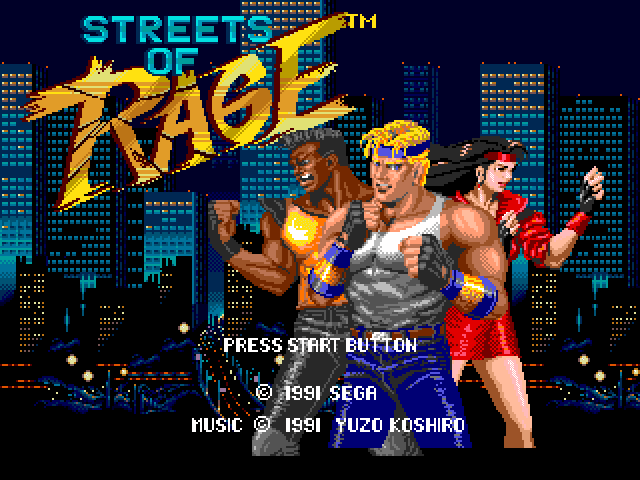 Between the gorgeous city background, the impressive and large ixel and sprite models of our three heroes, and the Yuzo Koshiro soundtrack that backs it, this title screen for Streets of Rage is absolutely old school cool. Going from old school cool to cool in general, Super Metroid's title screen is chilling in every sense of the word. Showing fallen bodies on both sides of the baby Metroid from Metroid II: Return of Samus that is held in captivity, the cold choices of color, the flashing of the computer monitors on both sides of the Metroid, and tense, mysterious music that plays while players look on all add up to one ambient title screen that is as memorable as it is alarming. Opinions are like tadpoles... or something that rhymes with that. Anyway, not every opinion in the world is a popular one, especially when it comes to games, which is the whole focus of SuperPhillip Central! Over the nearly nine years SuperPhillip Central has been around, we've occasionally taken the road less traveled on our opinions. Now, it isn't done to rock the boat or be difficult. Sometimes, SuperPhillip Central just likes or dislikes a game that many love or hate just because that's how we're wired. The Unpopular Opinion series of articles hits its fifth installment, detailing more games that weren't widely well received, but ended up being games we enjoyed. Listed by some outlets and critics on their picks for most disappointing games, SuperPhillip Central had a different take on Star Fox Zero. Now, let's not lie here and say that the unorthodox controls are for everyone. 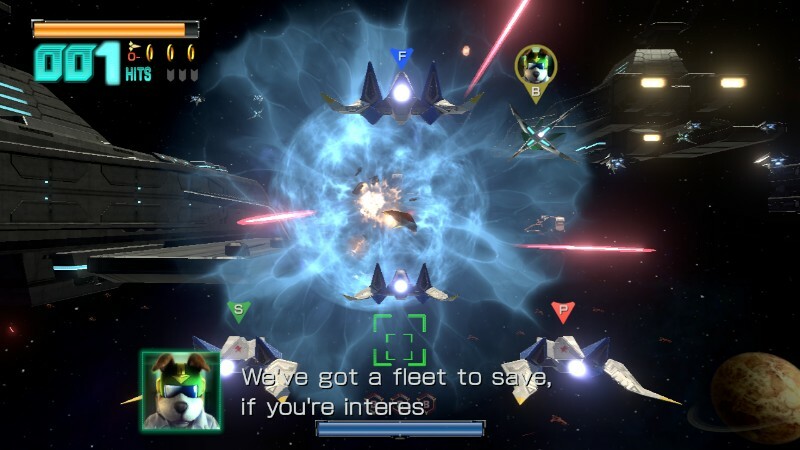 You have to sometimes turn your attention to both screens, the TV and the Wii U GamePad, but many times you're just taking a quick glimpse at the cockpit view to get a beat on surrounding enemies or to quickly shoot at an off-screen foe. With practice, this becomes second nature, and if it didn't, then I wouldn't have acquired all of the game's medals through proficient play. Perhaps it's not the Star Fox game that many wanted, but SuperPhillip Central will be darned if Star Fox Zero was a fun experiment. Fools and children are the types of people who look at a list, see one or two games on it that they don't agree with, and then dismiss the opinion of someone immediately. These people probably shouldn't read SuperPhillip Central or sites like it, then (aka Stay off the Internet). 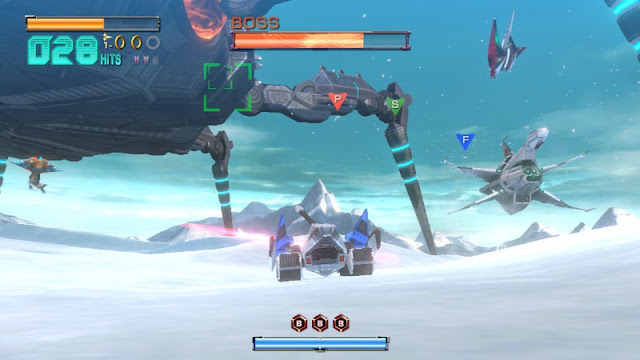 Metroid Prime: Federation Force, like Star Fox Zero, wasn't the Metroid game fans were expecting, but unlike Zero, Federation Force wasn't like any traditional Metroid game. Instead, it was a squad shooter, best played with friends. Of course, playing the game by oneself was very much possible, and this reviewer actually did that to start, finding no problems with doing so. 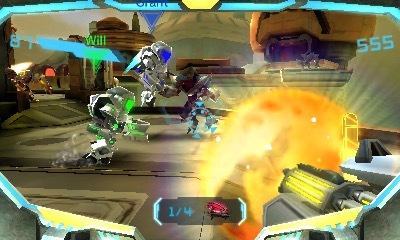 While Federation Force was not like Metroid at all, what it was like was a much more action-focused Metroid Prime game, having missions that rarely repeated their objectives. One you'd be luring ice titans into cages to lock them inside while another you'd be exiting your mech, stealthily entering a Space Pirate stronghold. The point here is that Metroid Prime: Federation Force wasn't what even SuperPhillip Central was expecting from Nintendo, but the end result was hardly an abomination. Instead, it was great fun. Killzone is a tale of a video game franchise that had so much potential, but was marred with games that just didn't do anything too special. 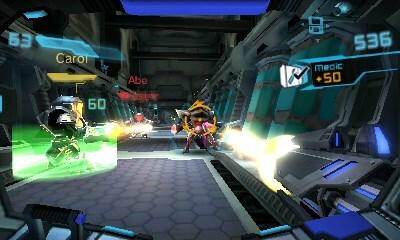 Though, if we're talking about the PlayStation Vita exclusive entry, Mercenary, then that's a totally different story. That game rocked. 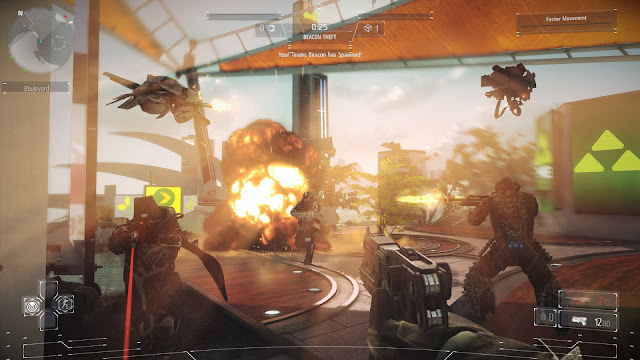 With the PlayStation 4 launch title, Killzone: Shadow Fall, what players got was more open-ended level design and pretty standard first-person shooting gameplay. 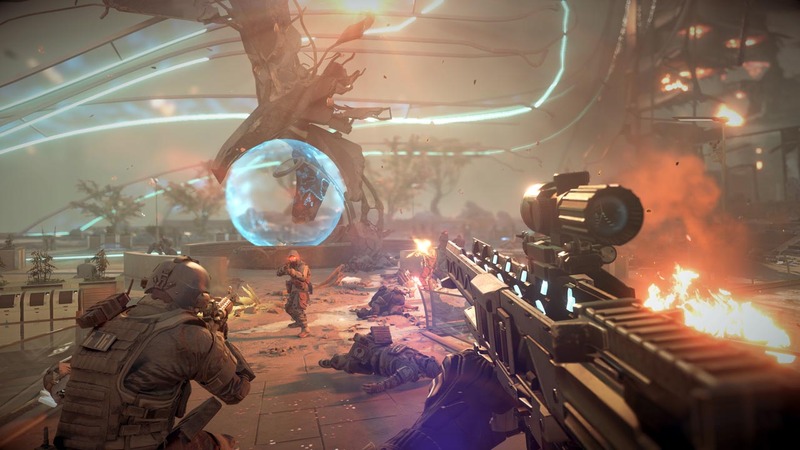 Although much of Killzone: Shadow Fall was "been there, done that", a cool addition to the formula was that of OWL, a robotic buddy that could be used to temporarily stun enemies with a quick jolt, something to summon an electric shield, and a tool to create a makeshift zipline to access faraway portions of levels. The campaign was enjoyable enough to play through multiple times, even doing a no-death run, and the multiplayer wasn't too shabby either, though, developers, stop forcing multiplayer achievements and trophies into your games-- PLEASE. Anyway, Killzone: Shadow Fall might not astonish in any one area, but all in all, it's a thrilling game and fine initial showpiece of the PS4's hardware power. Despite launching as a buggy piece of crap, LittleBigPlanet 3 eventually went on to become another enjoyable entry in the series. Introducing some new concepts to the aging formula (seriously, we need a shake up with the series!) 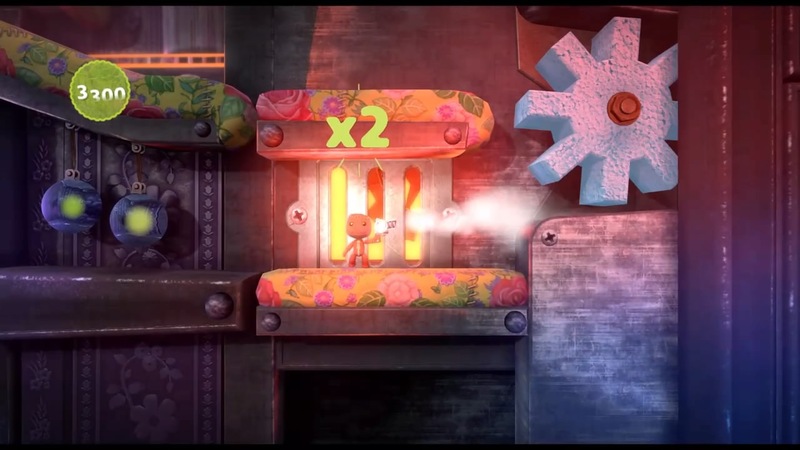 like new playable character types, new gadgets, and multi-tiered levels that could stretch back 16 layers instead of just 3, LittleBigPlanet 3 continued to show off the creative tool set that Media Molecule originally created back with the very first LittleBigPlanet. Creating levels and other goodies can be as simple or as complex as a creator wants it, and the end result is something one can easily be proud of, sharing it with the still-very-active community. 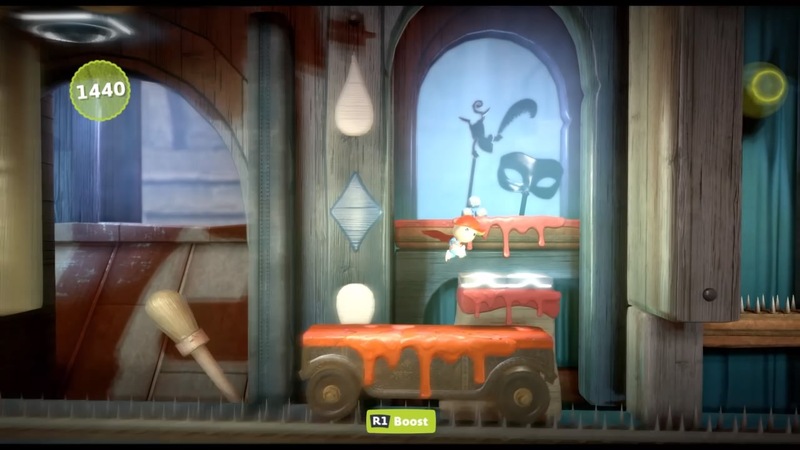 While there are still some bugs and glitches to be found in the game, LittleBigPlanet 3 is far from the monstrosity it was when it originally launched. 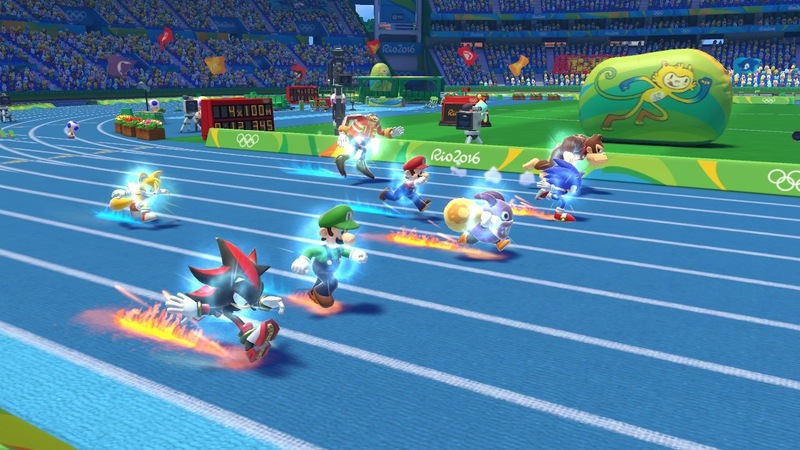 The Mario & Sonic series always sees two of the most iconic characters in gaming history team up for some friendly Olympic fun*. (*Your results may vary.) While the latest Olympic release starring the portly plumber and the Blue Blur improves upon the formula in some ways, in others it wasn't so successful. 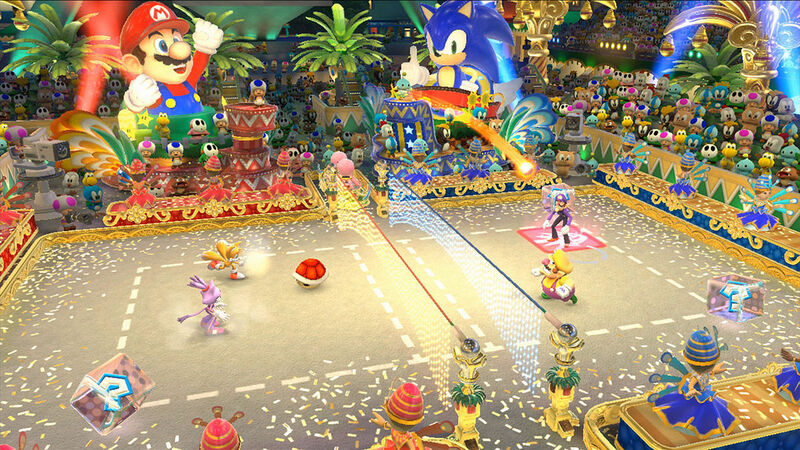 Talking about the latter first, the lack of Dream Events, fantasy versions of Olympic events set in Mario and Sonic's various worlds, was very disappointing. The Duel events that replaced them weren't nearly as good substitutions. Regardless, the events play better for those who can't stand any type of motion controls. Instead, those were replaced with all analog controls, so instead of shaking a Wii Remote like a madman, you can mash on a button like a madman. Sure, some events weren't nearly as fun without motion controls, but they all still provided a certain level of fun. The local multiplayer allowed for up to four players to participate in solo events or the career mode, a nice, challenging change of pace, all adding up to a multiplayer game that remains enjoyable even long after the real Rio Olympics ended. 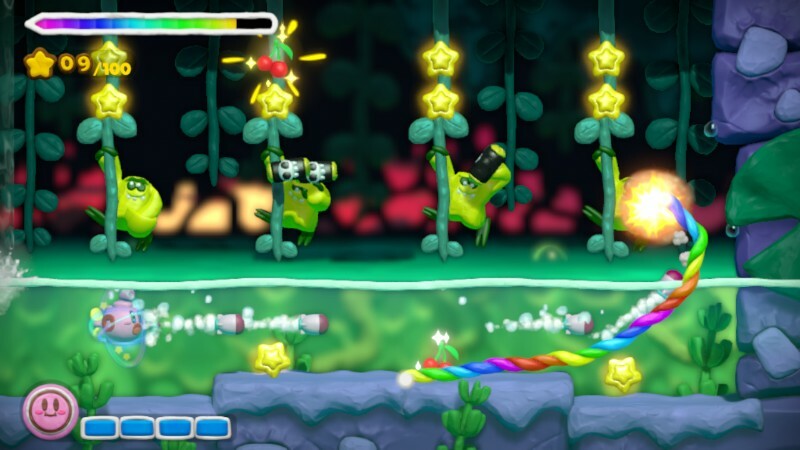 ND Cube took over from former Mario Party developer Hudson Soft, who was swallowed up Konami. ND Cube has since tried to change up the Mario Party formula to varying degrees of success. 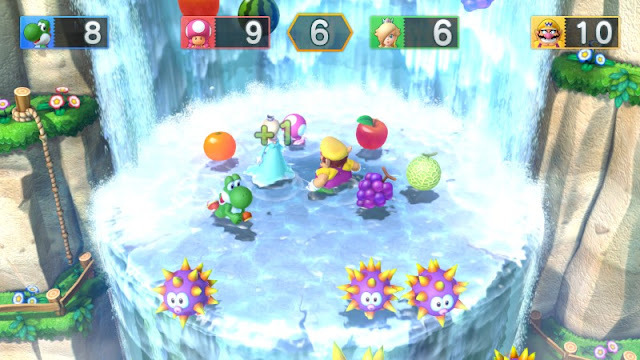 With Mario Party 10, the formula from the Wii's Mario Party 9 continued with players sharing the same car, and depending on who was the driver, different actions would happen along the five major boards. While a traditional Mario Party experience would have been better (as seen in the Amiibo-compatible mode), there was a stronger focus on skill than usual, especially compared to Mario Party 9. 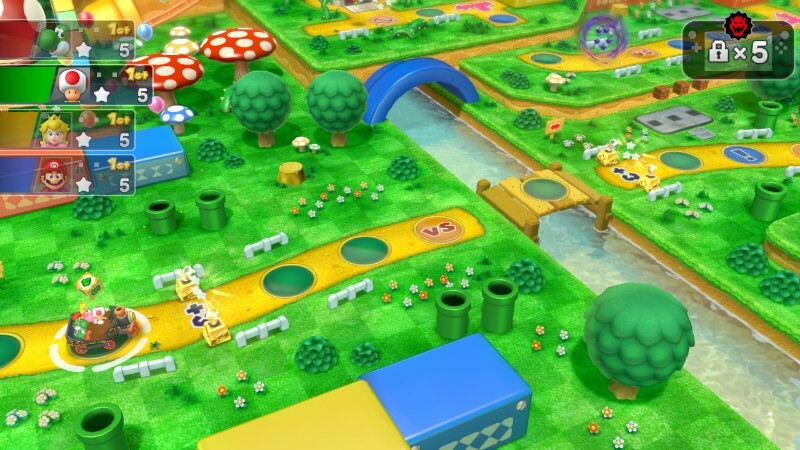 The mini-games were a strong point, something that ND Cube continues to do really well with the series, and the addition of a mode where the Wii U GamePad player controlled Bowser changed things up for a nice side mode, though a short-lived one. Ultimately, Mario Party 10 was a worthwhile installment, although it's very easy to see why it wasn't liked by every player who came by to join the party. 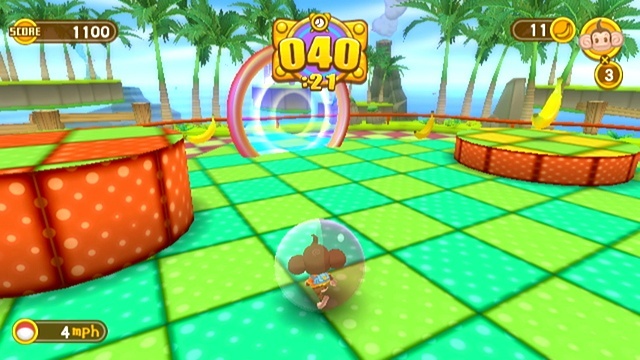 A launch title for Nintendo's mega-hit Wii, Super Monkey Ball: Banana Blitz was part of Sega's milking of the franchise, one that would see games on a wide range of platforms within a very limited range of time. 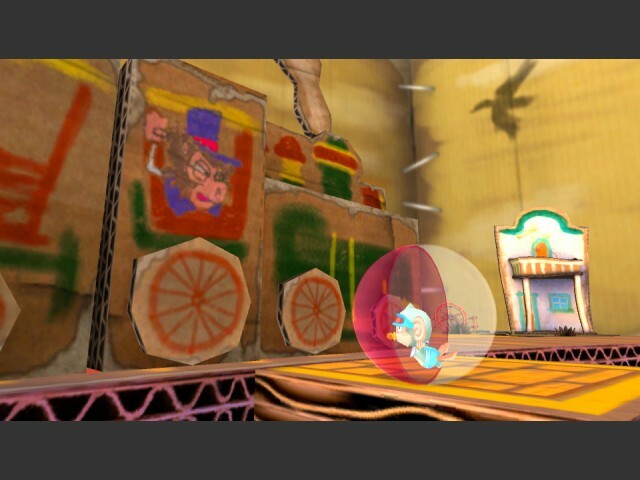 Regardless, Banana Blitz saw multiple new mechanics to the Super Monkey Ball series, such as the motion control movement, which worked as advertised; the ability to jump, which made for some interestingly designed levels; and boss battles, engagements that delivered crafty encounters and heavy hijinks. While the multiplayer featured an overabundance of lame mini-games, the ones that did shine shined rather bright. Couple that with a colorful art style and one of the most infectiously catchy soundtracks on the Wii, and you have a Super Monkey Ball entry that wasn't perfect, but something that SuperPhillip Central ended up enjoying. 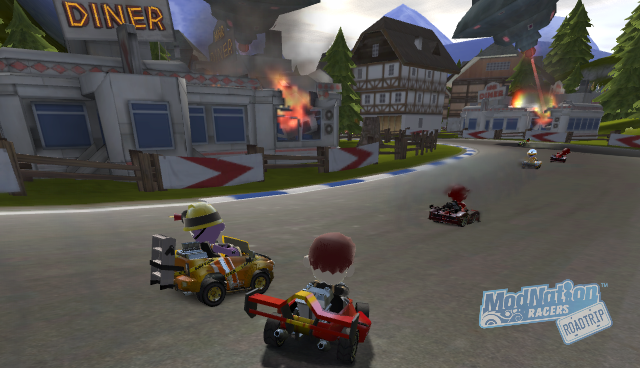 Sure, the lack of traditional online play seems and was a ridiculous exclusion that would have made the game much more appealing, but ModNation Racers: Road Trip possessed some worthy qualities to almost make up for that. For one, the much more streamlined single-player campaign featured wonderful track design and an AI that was fun to race against and seldom overly irritating. The item progression and drifting to get boost or shield energy made for a fairer kart racing experience than many Mario Kart games. 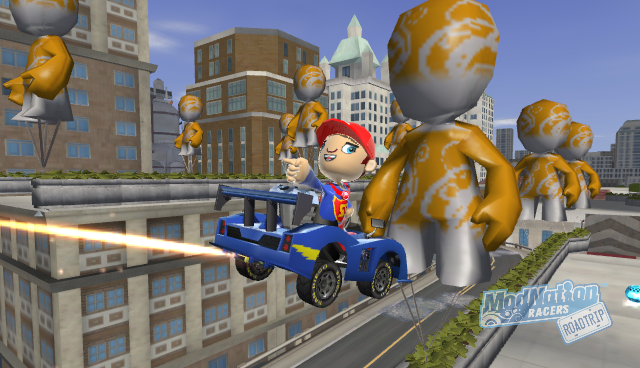 Then, you had the ability to create, share, and download custom tracks and racers, many showcasing the amazing creativity of the small but active ModNation Racers: Road Trip community. All of these aspects of Road Trip made for a PlayStation Vita launch title that was an enjoyable and deep racing experience. A little under two weeks ahead of its North American release, a quick 30 second trailer for Dragon Quest VIII: Journey of the Cursed King appeared on Nintendo's YouTube channel. As someone who missed out on the PlayStation 2 original (despite owning it), I'm really looking forward to both playing the game for the first time and all of the quality of life improvements in this 3DS version. SuperPhillip Central is kicking off your work week with cuteness, adorableness, and stuff that you just want to hug. Now, if you haven't been revolted by the sweetness of the introduction to this edition of SuperPhillip Central's Favorite VGMs, then sit tight and get ready for some great music from some excellent games. 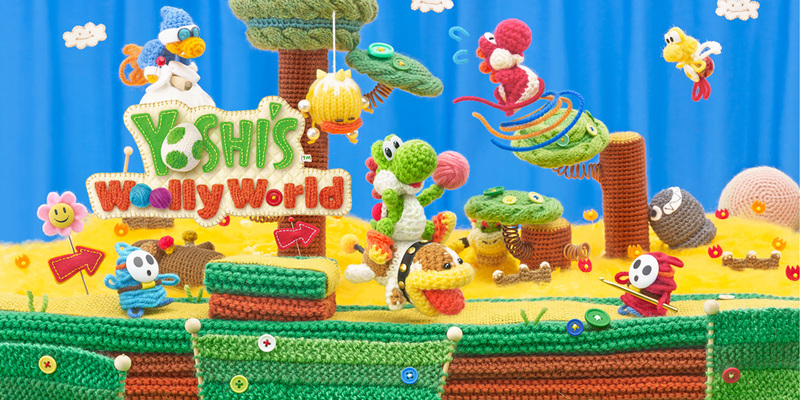 Yoshi and Poochy (no, don't worry-- not The Simpsons' Poochy) lead things off with Yoshi's Woolly World. Then, we go deep-sea divin' with Kirby and the Rainbow Curse. Following that is a peppy tune from LocoRoco. Rounding things up are themes from Pokemon Ruby/Sapphire/Emerald and Super Monkey Ball: Banana Splitz. Between cute dinosaurs, adorable monkeys, and everything else in between, this is not just cuteness overload but awesome music overload too! As always, click on the VGM volume to hear the song mentioned. 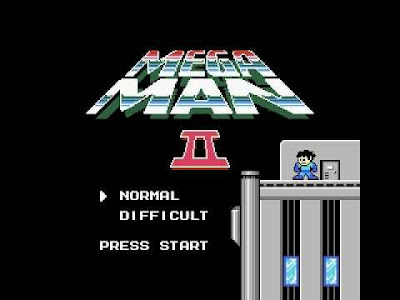 Finally, check out the VGM Database for all past VGM volumes featured on SuperPhillip Central's Favorite VGMs over the years. Now, let's get on to the music! We start off this edition of SuperPhillip Central's Favorite VGMs with a game that is seeing a Nintendo 3DS port next month. 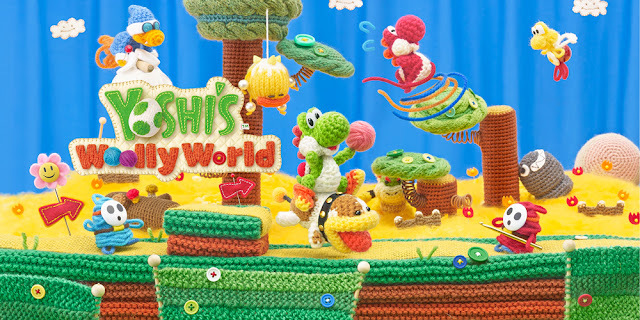 Yoshi's Woolly World released on the Wii U, and I'd be lying if I said it wasn't a worthy successor to Yoshi's Island (finally, right?). Its soundtrack is amazing, offering pleasant and cheery tunes fitting for the adorable aesthetic of the game. I'm looking forward to having an excuse to replay this game when Poochy and Yoshi's Woolly World releases on the Nintendo 3DS early next month. Kirby's sole Wii U entry saw HAL Laboratory create a successor to Kirby Canvas Curse, the classic Nintendo DS game that released early in the system's life, the very game that for me proved the Nintendo DS's touch screen's worth. While Canvas Curse had a nice soundtrack, Kirby and the Rainbow Curse has one of the best soundtracks period in any Kirby game-- heck, in any Wii U game! 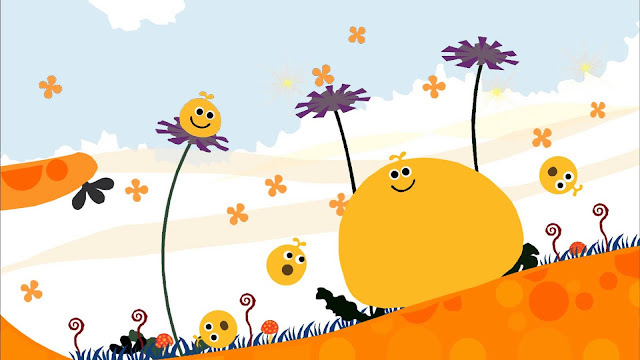 Each color of LocoRoco has their own theme song attached to them. For what is essentially the leading color of the series, Yellow LocoRoco's theme is called Bu bu poruche, sung in the fictional LocoRoco language. Regardless of the language of the song that no one could possibly understand, the common language we all share is that of music. Here, we have an upbeat tune that you'd have to have feet of stone to not have your toes tap to. Pokemon's third generation saw the series jump into a wider array of colors than what the series was originally limited to on the Game Boy and the Game Boy Color. With Pokemon Ruby, Sapphire, and later Emerald, the Game Boy Advance showed its power with improved visuals and a better sound. 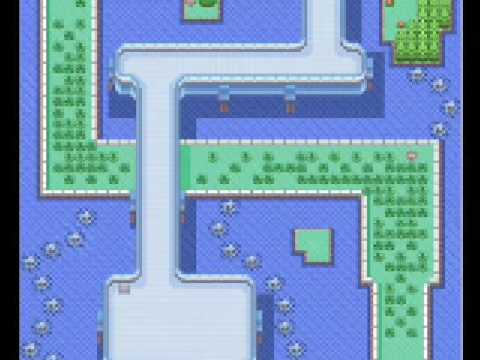 Route 110 is a triumphant tune that uses synth brass to great effect. 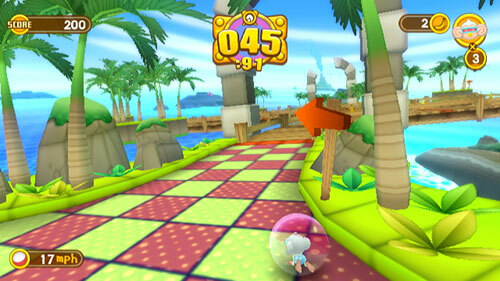 Sega really exhausted gamers with sequel after sequel of Super Monkey Ball. It seemed like for the longest time that every platform under the sun would get a Super Monkey Ball game of some type. The latest in the series arrived on the PlayStation Vita, and it was darn hard, and not in a fair way. Many times you could perform the same moves in one try at a level and whether you'd complete it or not was seemingly random. Regardless, the quality of the music, as heard with this lovely tune, continues the Super Monkey Ball tradition of being fantastic.